This recipe came highly recommended to me from my friend Erin and I always trust her food judgement. I whipped this together in like 10 minutes. Buy a rotisserie chicken it saves time. I assembled everything at naptime at then just baked at dinner. 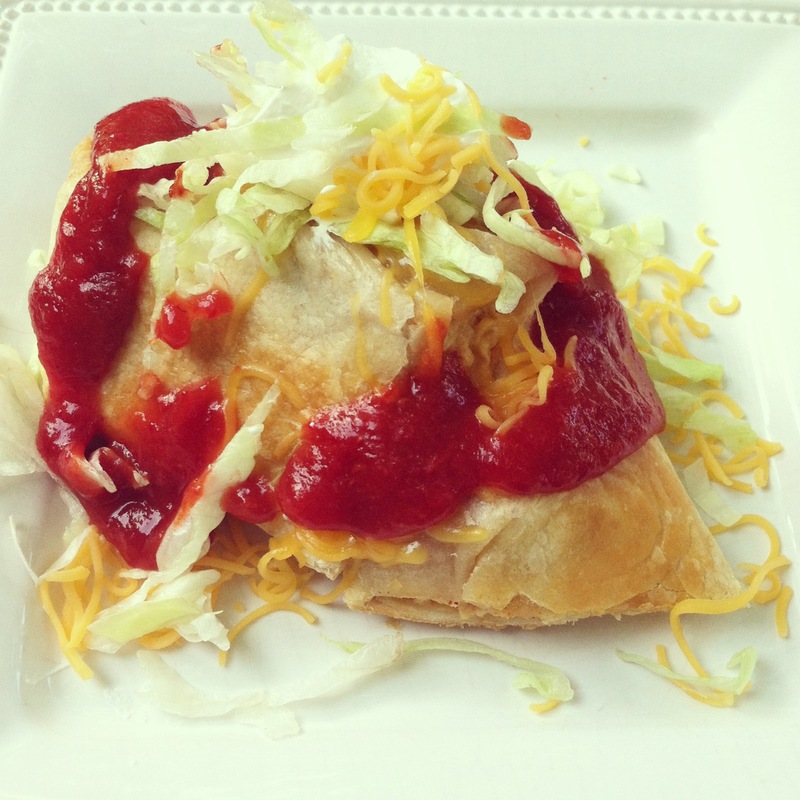 These really get crispy like a true chimichangas but they are baked so way less fat than the fried kind. They were totally delish. Oh and that is not ketchup on top it is Victorias Hot Sauce, good stuff. Stir together cream cheese, Pepperjack cheese and taco seasoning. Tuck in sides, and roll up each tortilla. Lay seam side down in a sprayed 9×13″ baking dish. Spray tops of tortillas with cooking spray. Bake at 350 for 15 minutes. Turn chimi’s over, and bake an additional 15 minutes. Serve with cheddar cheese, green onions, sour cream, and salsa. Serious yumminess! I'm in love with anything Mexican. Thanks for the recipe!! Love me some Mexicana! This looks fab. Looks tasty! Gonna pin it! I'm pretty sure I have some Mexican blood in me somewhere down the line. Just can't get enough! Holy cow does that look and sound good! OMG yum! I'm so making this soon! YUM!!! I will definitely be making this soon! Thanks for sharing! Thanks for the recipe! Sounds amazing. Oh my gosh. My mouth is seriously watering! Pinning for sure..I am sure it will work with corn tortillas don't you think? My husband doesn't eat gluten. Anything spanish inspired with cilantro, tortillas or hot sauce…we are pretty much in! Ha. Natalie- thank you for this recipe! I made it last night, and it was delish! Even my picky husband and even pickier 2 year old loved it. And so easy, too! Made these for dinner tonight and looked them. So easy, which is great since I have a one month old!